If you don’t get the joke here, you’re one of the 6 people left who hasn’t seen Iron Man. What are you waiting for? 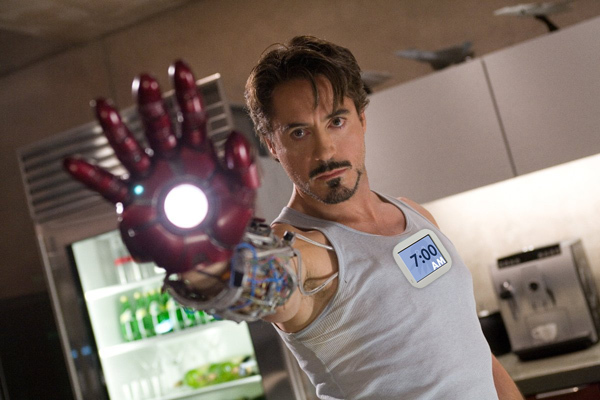 Tony Stark is our kind of guy — loosely modeled after bunnie Huang. When we first discussed Chumby at FOO Camp, someone who heard the idea thought it would be perfect entertainment for his parrot. “I could set my chumby near Polly’s cage,” he remarked, “and she will be amused all day long while I’m at work.” Well, okay. We’re delighted when we hear that people are adapting their chumbys to fill their personal needs — that’s really the point, the chumby is not a one-trick pony. We expect that everyone’s chumby will be different and will be used differently. Some people want to wake up to their chumby, other people are completely happy with their current method of waking up and, instead, want their chumby desk-side to inform and amuse them all the live-long day, simply at a glance. Some have theirs in their bathroom, some in their kitchen. Some like their chumby in a box, some like their chumby with a fox, or on a train or in the rain with green eggs and ham. We’ve seen what’s on Liz’s chumby. And we’ve seen the gruesome outcome of what a chumby looks like when a dog uses it as a chew toy (no link posted intentionally), so we don’t recommend that use. But Liz’s dog is a bit more sophisticated than the average canine brute, so here, without further ado, is Elliot and his chumby. Chumby’s Art Director, Liz Tervenski, made this great video of how she uses her chumby. Other fun videos of chumbys in action here. As I attempted to discuss in previous posts, the chumby, while it may contain similar electronics, is different from other internet-connected devices. We have made deliberate design choices for the chumby device to serve a different role in people’s lives from all the other screen-based, connected devices they already have. Another way to think of how the chumby is different from other devices, and what it’s really good for, is to think about your attention. A really smart person recently tried to convince me that Chumby’s big opportunity was to be on screens that people actually paid real attention to, e.g., TVs and PCs, rather than via devices they might glance at from time to time and that might sit off to the side somewhere, say on a nightstand, or end-table, or kitchen counter, or floating around on your desk. Well that sounds pretty obvious — in order to be seen you need to be where people are looking. Obvious…and indeed part of the grand plan for the Chumby Network on every net-connected screen…but not the whole picture, and maybe not even the biggest part. The problem with the Chumby Network being on a PC or on a TV when you’re attending to one of these devices is that you’re paying attention to these screens for a reason: on a TV you’re often trying to be entertained by a linear narrative; on a PC you’re often trying to get tasks accomplished, check email, find a fact, update your Facebook status. You really don’t want a lot of distraction. Specifically on a PC, widgets as “side information” on these screens can actually impede productivity and interfere with the primary (though obviously not the sole) purpose of this device, i.e., relatively lower information-value pixels on your monitor (such as knowing tomorrow’s weather when you already know it, or getting a funny “fact” about Chuck Norris) get in the way of relatively higher information-value pixels (your email, your spreadsheet, your Facebook friends’ Wall posts, the full extent of glitter on your MySpace page). When a PC is used for its primary productivity function the value of widgets just seems minimal at best, especially in a tabbed browser world where you’re one-click away from information you want to know. Perhaps because of this I honestly don’t know many people who use desktop-based widgets very much. On a TV, except for closed captioning, side information hovering around the main “show screen” also seems to be a loser. Since the days of videotext/teletext decades ago, this idea has been tried in various flavors of “interactive television” — and has never really caught on in any broad way as an adjunct to TV. Probably because it interferes with the “suspension of disbelief” that is fundamental to enjoying entertainment; and because it becomes a distraction when receiving informational programming — it’s hard to read 3 text boxes and listen at the same time. What has worked, to a degree, is side information being conducted around broadcast programming but on a separate interactive screen: texting votes for American Idol, trash-talking with your sports buddies via IM during the big game, or, more high-mindedly, getting background information related to documentary programming. The value of Chumby (the chumby device and the Chumby Network embedded on other internet-connected screens) is that it serves you when you’re not paying attention. Or, in Web 2.0 jargon, it serves the “long tail of attention.” Chumby delivers information at a glance, in a “spare cycle” or while you’re “multi-tasking,” rather than when you’re purposefully seeking it — the browser on your PC is much better at the latter. But there are lots of free moments in your life (I know you probably don’t believe this) and lots of unclaimed places where Chumby delivers information to you — moments when you’re not particularly doing anything, or when you can do more than one thing, and in places where PCs really don’t make sense. When I wake up in the morning, there’s a useful, if semi-conscious, information opportunity: what’s the weather going to be?, how bad’s the traffic?, did the Padres win in extra innings? (nope), what are the news headlines? (read them to me!). When I’m in the kitchen washing dinner dishes or making coffee I’m bored senseless, but my hands are busy — sure is nice to have some decent streaming music, or the Car Talk guys, and to catch up on Google News or TechCrunch headlines, and just enjoy fond memories from digital photos. Note: Chumby isn’t the death of daydreaming in these off-moments, I think it’s a sponsor of it. When I’m taking a phone call in the my office of course not all of these conversations, especially conference calls, are interesting enough to claim my total attention. It’s nice to be able to glance at my chumby on my desk during the dull bits — of course I have to be careful to hit the mute button quickly before I crack up at something I see on the College Humor or The Onion widget. Tim O’Reilly’s chumby is in his bathroom — enough said. There are hundreds of these “long tail of attention” or “continuous partial attention” moments throughout the day. This is what Chumby serves. We provide what you want to see and hear when you’re not particularly paying attention. Once you have a chumby or, better, multiple chumbys in your life, this will make sense. Chumby allows you to know more and enjoy more of your time on this spinning rock by filling up all those interstices of inattention. As stressed out and info-overloaded as you probably feel you are, your ability to receive and process information is still woefully underused. Certainly you never are amused or delighted too much. Your chumby brings color to those white spaces. So get a chumby today. You’re wasting your inattention! 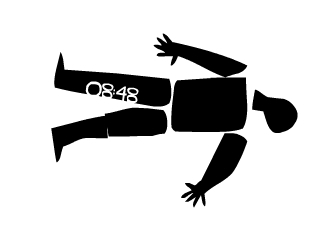 …is Anatomy of a Clock modeled after the opening sequence of Anatomy of a Murder that you can see here or dissect (so to speak) here. Check it out and watch the whole animated sequence. Just completely unique and very “Chumby.” I’m sorry but whatever your current clock is, it isn’t this cool. Nice job, McConnell!